Starting Your Own T-Shirt Line? These are the available shop inks. 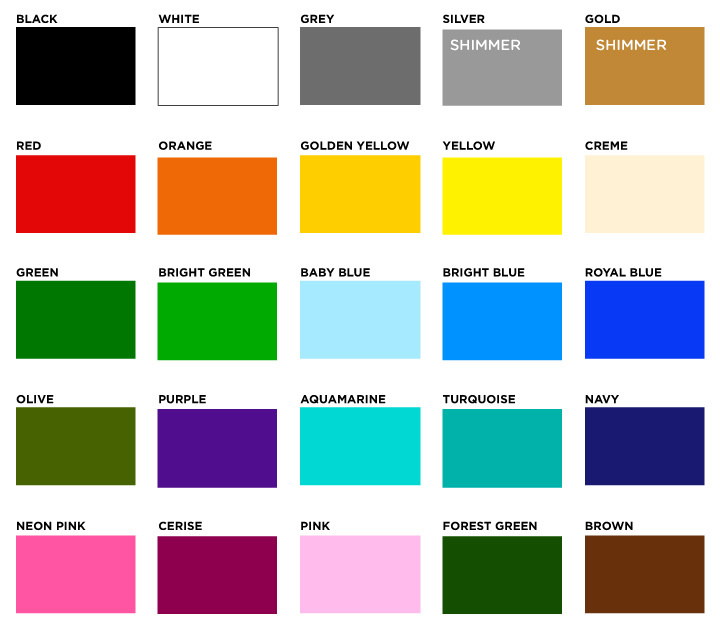 We can also mix a custom color for an additional charge.